The wels catfish Silurus glanis is without doubt one of the U.K.'s most fascinating fish. Offering a real test to any angler and pound for pound is the hardest fighting freshwater fish. Anyone tackling catfish is well advised to find out about them first and there is only one club that has been dedicated to the catfish for more than 30 years; The CCG. Formed in 1984 and still going strong, the CCG is an open friendly group welcoming people of all levels of angling experience as well as clubs and fisheries wanting to learn more about catfish. Members can enjoy learning from more experienced anglers at the many fish-ins we organise each summer, as well as the opportunity to join the club's own water, Adam's Pool which holds a good stock of catfish and is an ideal water for those new to catfishing. The group works closely with various Government agencies, DEFRA, CEFAS and has developed a strong relationship with the EA which has no doubt led to the safe re-homing of many hundreds of unlicensed or unwanted catfish in the UK. •	To promote the conservation of existing catfish stocks and to recommend correct angling methods, treatment and careful handling of the species. •	To encourage fish farmers to breed the European catfish (wels) for the purpose of stocking English waters and to assist them wherever possible. •	To negotiate, whenever possible, with Water Authorities for consent to stock the catfish. •	To encourage fishery owners and managers to stock the wels and to assist them in every possible legal way. •	To help fisheries who want to remove catfish find new suitable homes wherever possible. •	To prove, to whomever it may be necessary, that the presence of the wels does not significantly influence the stocks of other more popular species. •	To compile as much literature as possible regarding the life history of the wels and make this available to members as well as other interested parties. 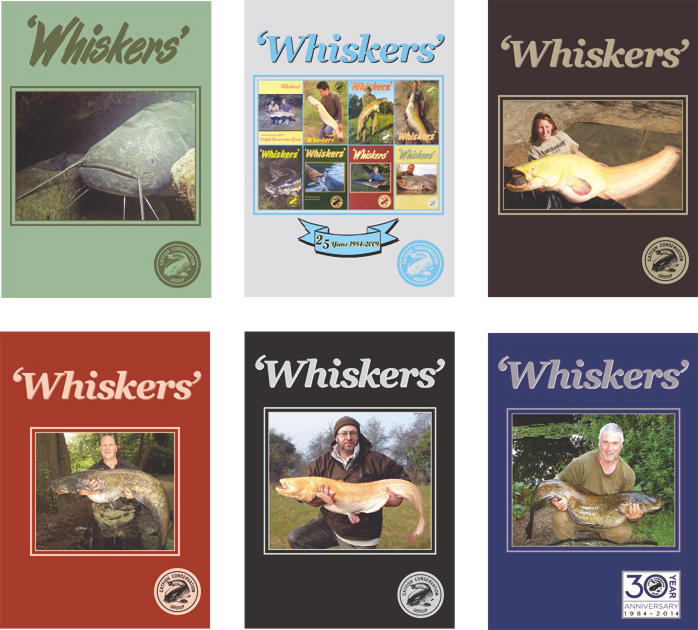 •	To encourage more anglers to become interested in the wels, and to develop the C.C.G. into an international organisation for friendship and co-operation between all catfish anglers. •	To represent the wels catfish in the political arena and try and ensure the species and those that fish for it are treated in a fair and balanced way. 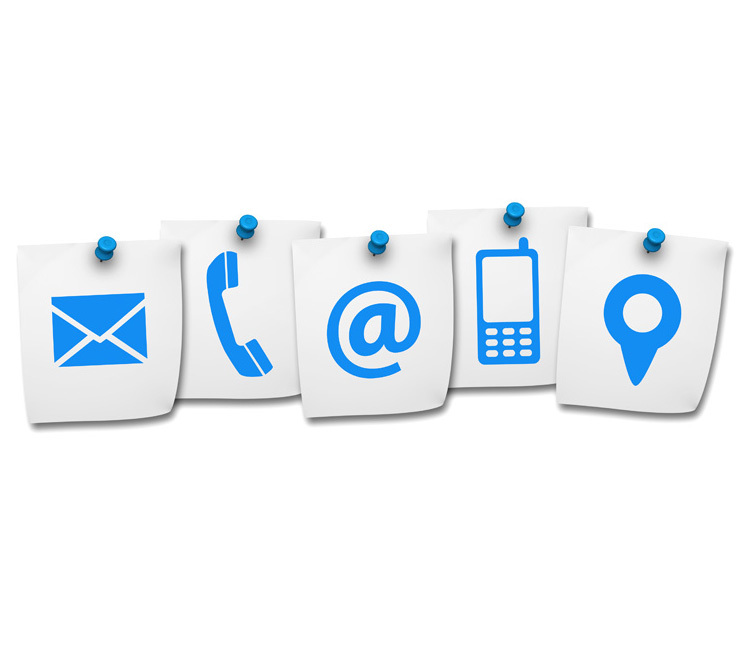 Full Committee contact details can be found in the Members Area. 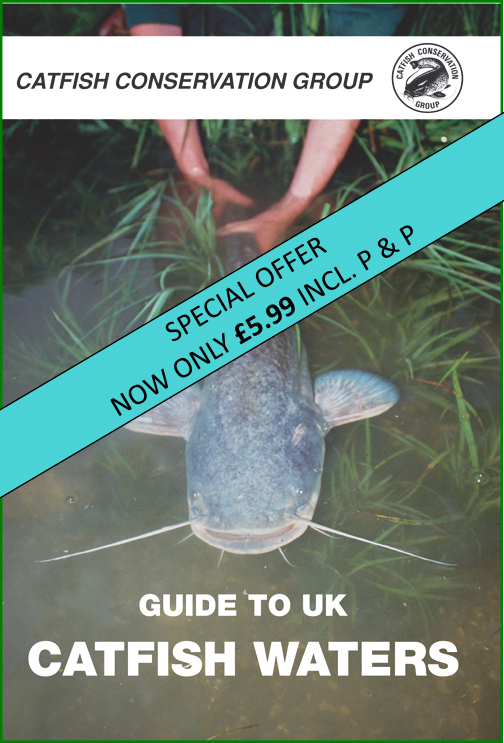 The Catfish Conservation Group has published its own book The Guide to UK Catfish Waters the definitive guide for all anglers starting out in UK catfishing and is available from The Membership Secretary .